We have a stroller situation in our 1200 square feet condo. We have 3. That is 2 too many. I'm in cleaning mode and doing my best to eliminate the clutter. I'm annoyed that we have 3 strollers sitting in our living room. Why do we have 3 strollers? 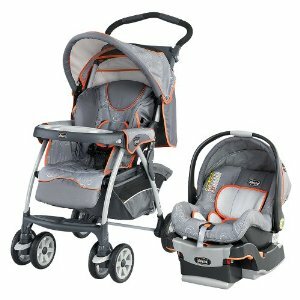 Stroller #1: This is a baby shower gift from my Mom. I picked it out based on information I read in a book. I forgot that we have steps on the outside of the building and I would have to lug it up and down because it's to big to fit in our cars properly so I can't keep it in a car and just grab it on the way to our journey. It also doesn't fold up easily so it was a total hassle. Stroller #2: Our wonderful friends gave this to us. We needed an infant car seat and they generously gave us the entire stroller system. 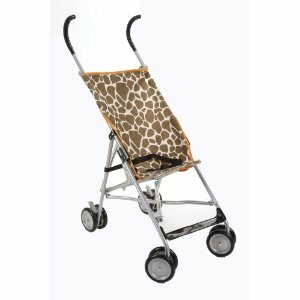 It was great because I could use the stroller immediately and it can fold up with one hand. Unfortunately it doesn't fit well in our cars. I've stuffed this in the car but it's a challenge getting it out of my little Yaris. 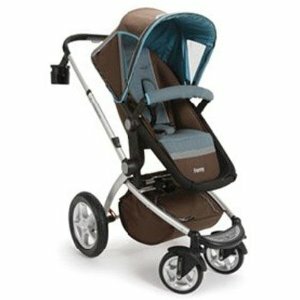 Stroller #3: I bought recently. I wanted something that I could get out of the building without having to fight with it. It also fits nicely in the car. It has an animal print (my fav). It was dirt cheap. It will be perfect for riding the train. I took it out this weekend and it was great. I can lift it with her in it on the stairs without a struggle. It's not all terrain or inclement weather friendly. I think it's perfect for my needs though. I haven't decided yet whether I'm going to donate, sell, or keep them in case our situation changes. I need to decide soon though. I'm so over the stroller parade. SN: We have tons of bibs too. I was sure they were a waste until now. I never imagined I would be going through 3 or 4 a day now that she's eating food! What baby paraphernalia do you have in excess? What did you do about it? Back in the day I had two strollers. The "umbrella" kind was indispensable, but didn't work well on rough terrain. The other was cumbersome, but necessary at times. I really loved using the backpack and used it until I couldn't bear his weight. We also had three strollers, snap n go, peg perego skate and a maclaren. My husband posted the peg perego skate on ebay and it was sold in two days. She barely used it and I loved our snap n go the first 5 months. It was easy to just pop the car seat in and go! Now the maclaren is our go to stroller. We made the right choice to sell the peg perego. I actually sold the snap n go on cragislist once we transitioned Madison into her big girl car seat! That one sold in one day! I have like 4 strollers! I plan to keep them. I like to use my big stroller for shopping. Then I have a jogging stroller. I use the stroller according to what we are doing. I would be scared to get rid of any of them. So more than 1 is the norm judging by the comments. Hmmm. I'll have to find a good hiding space for them for now. I'm sick of looking at them. @Mrs. Collins Hey and welcome! I'm a new follower on your blog too. Your baby girl is beautiful. I had something big (no memory of the brand or style, this was 11 years ago), then had a double seater (long, not wide). Used the umbrella 99% of the time and when our 3rd came along, years after getting rid of all baby stuff, we just got an umbrella. I carried or swaddled & propped him until he could sit well in it. As a matter of fact, the 3rd time around we went as low-key and low-cost as possible with EVERYTHING.